We are a professional contractor that specilize in replacement windows, vinyl siding, and roofing. Our goal is to serves Pennsylvania and Delaware homeowners with quality products and installation. So whatever your home improvement plans are, you can count on our company to provide you with the best service, affordable prices, and quality products that are sure to impress. Windows Plus is the premier source for NFRC rated Energy Efficient Lansdowne replacement windows and vinyl siding. No matter what your home’s problem, we can recommend a solution tailored to your budget. We invite you to either stop by our Idea Showroom, or at your convenience, we'll come to your Lansdowne home to share some ideas. We offer lifetime labor and materials warranty on most installations; so if you're not 100% satisfied with our quality workmanship and professional services, we'll do whatever it takes to earn your complete satisfaction. At Windows Plus, we use Generations® Thermal Core Siding as our vinyl siding choice. This brand of vinyl siding features a permanently laminated insulating backing for unbeatable performance. So not only will the exterior appearance of your home improve, but our vinyl siding installation will also help improve your Lansdowne home's energy efficiency. Besides providing entry, doors provide aesthetics, security and protection against the elements. Windows Plus can replace your old Lansdowne doors with new energy saving doors that will increase the beauty and security of your home. Our experienced consultants can show you many styles of doors, from entry to sliding patio, and our trained and experienced craftsmen can provide the high quality door installation your home deserves. Our Lansdowne door replacement contractors can show you many styles of doors, including energy efficient wood, steel and fiberglass doors. We have a wide range of doors available that are sure to fit the style of your home. Bay Replacement Windows in Lansdowne are popular choices for kitchens, living rooms and master bedrooms. This type of window gives the illusion of more space in a room, and lets in lots of sunlight. Bay windows also allow for greater visibility of the surrounding landscape from inside your room. 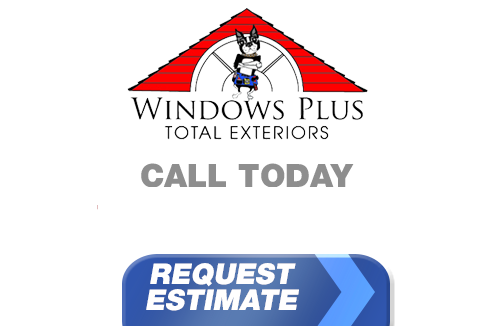 If you live in Lansdowne and you're looking for professionally installed Replacement Windows, Doors, Vinyl Siding or a great Roofing Contractor, call Windows Plus today at 610-572-4733 or complete our online request form.